We accept American Express, Visa Card, Master Card, Discover Card, and Purchase Orders. Just fill in that information on our order form. 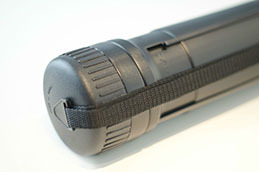 Expandable black plastic carring tube with shoulder strap. The tube accommodates any size up to 48 inches (121.92 cm). The cost is $20 per tube. When needed, we can apply Velcro to the back of your poster. We place numerous white Velcro hook dots on the back side of the poster along the outside boarders of all four sides. 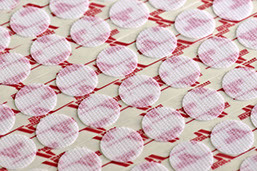 The Velcro can be used with all of our poster types. Make sure your conference provides display boards that accept velcro. The cost is $20 per poster. 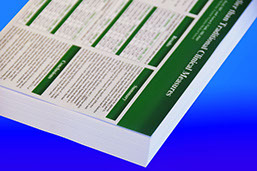 8.5 x 14 inch color handouts are now only 38 cents each.